Whether its search and rescue missions to finding missing hikers, or coming to the rescue when natural disasters strike (Tornadoes, Hurricanes, etc. 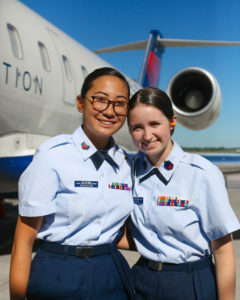 ), the Civil Air Patrol (CAP), with its 60,000 members, continues to support communities across the country by donating their time and aviation expertise to provide essential services for those in need. 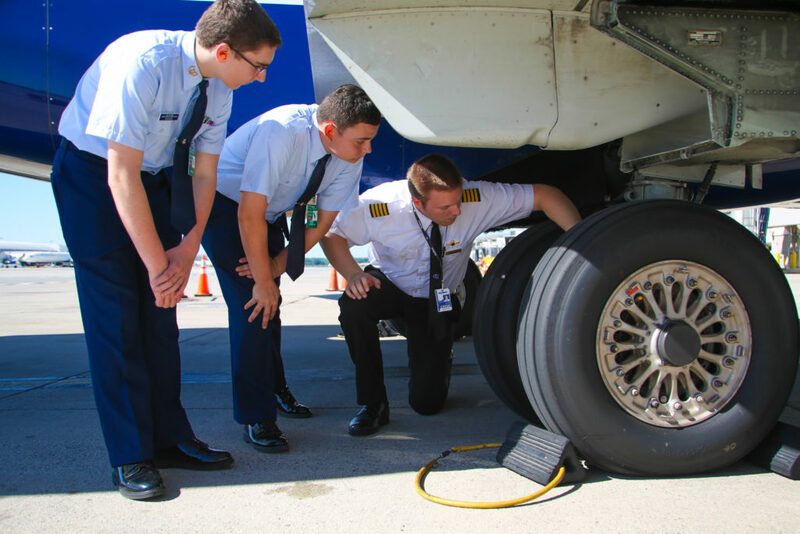 SkyWest pilots Kyle Curtiss and Matt Creed are among the many volunteers that donate their time to help with the different programs that CAP has to offer. 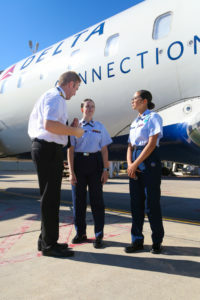 From providing emergency services both on the ground and in the air, to its award-winning aerospace education and cadet programs, CAP – an auxiliary of the U.S. Air Force – is providing paths for youth to become aviation leaders. “I just love watching their eyes light up,” said SkyWest pilot and Flight Operations Supervisor, Kyle Curtiss. 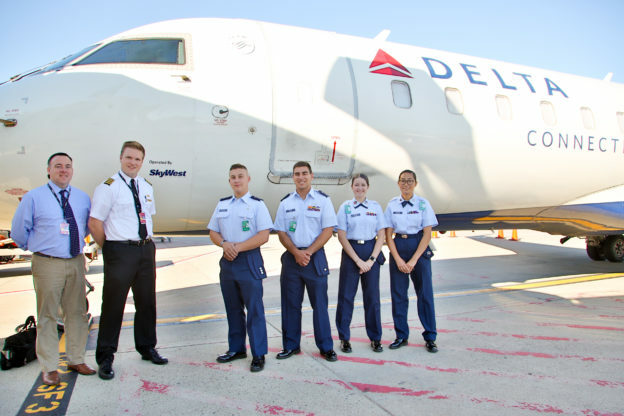 “It’s an experience unlike any other” added SkyWest Assistant Chief Pilot, Matt Creed. When they are not in the air flying one of SkyWest’s 2200+ daily departures across North America, you can find Kyle and Matt helping out their local CAP units which they help oversee. For Matt, who has been involved with CAP for more than two decades and is now the Great Lakes Region Commander, it was love at first flight. 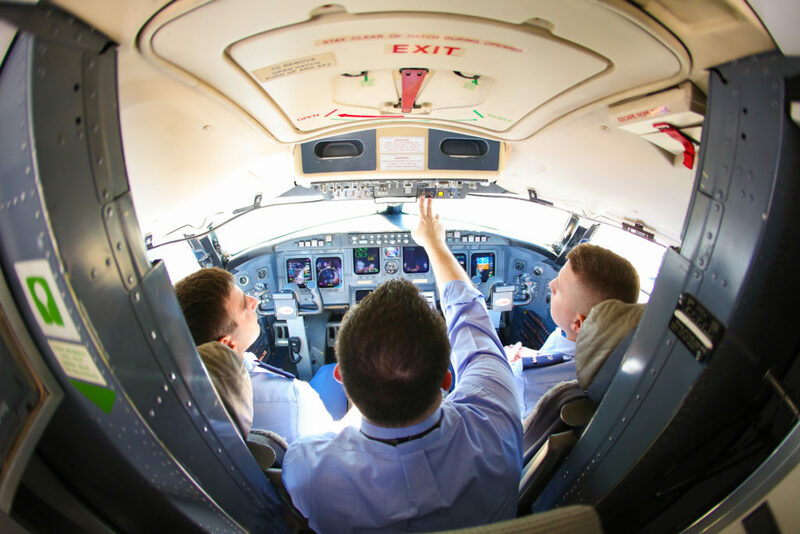 Together, the SkyWest pilots give tours of the facilities and different aircraft. The tours have quickly caught on with units doing so across the state. Many thanks to Matt and Kyle, as well as all the SkyWest people who volunteer countless hours across the country to make a difference in the lives of others! You are excellent representatives of SkyWest and we thank you for all that you do and for sharing your love of flying. For those interested in joining SkyWest, you can learn more here.